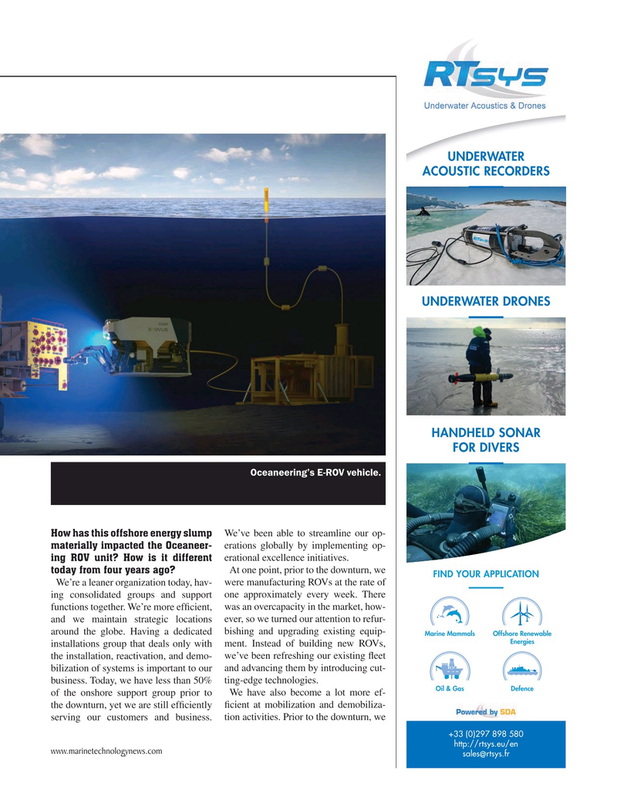 How has this offshore energy slump We’ve been able to streamline our op- materially impacted the Oceaneer- erations globally by implementing op- ing ROV unit? How is it different erational excellence initiatives. Energies installations group that deals only with ment. Instead of building new ROVs, the installation, reactivation, and demo- we’ve been refreshing our existing ? eet bilization of systems is important to our and advancing them by introducing cut- business. Today, we have less than 50% ting-edge technologies.